What is a static IP address, and which broadband providers offer a static IP? Why would I need a static IP? Which ISPs can give me a static IP address? Static IP addresses are a feature offered by broadband providers for business or home users with specific technical requirements. But what is a static IP, do you need one and which ISPs can provide you with a static IP for home or business broadband? Every device on a network has an Internet Protocol (IP) address which identifies the device and tells the network where to send data. An IP address is a set of numbers separated by periods. For example: 208.58.208.163. Type that IP address into a web browser and you’ll be taken to Google. Web addresses are used instead of IP numbers to make them easier to remember and type. When you enter a web site address it is translated into the server’s IP address by a Domain Name System (DNS) server. The example IP address above is an IPv4 address, which is the most common type you’ll see right now. But there’s also IPv6, a newer standard which has a much larger range of addresses. This is required because we’re running out of IPv4 addresses. There are a maximum 4.3 billion IPv4 numbers, which sounds like a lot but isn’t much when it has to be shared with all net-connected devices around the world. That's one reason why static IP addresses aren’t typically given out as standard and often come at an additional cost. When it comes to home broadband, your connection has a public IP address which is assigned by the ISP and is visible on the wider internet. Devices on your home Wi-Fi network will have their own internal IP address (using the address range 192.168.0.0 - 192.168.255.255) but it is the public IP address which will be seen when communicating outside the local network. Most broadband connections have a dynamic IP address which is not permanently assigned and can change. But a static IP address is permanently attached to the broadband connection. For most home users the difference between a dynamic and static IP address does not matter. It has no impact on web browsing, social media, streaming video or any of the other things a typical household will do with broadband day to day. But for some users - especially businesses - a static IP address may be preferable or essential. Any task which involves frequent connections to (and sometimes from) an IP address is made a lot simpler when that address is not at risk of changing without notice. Otherwise you would be forced to note down or update the new number each time it changed, and any automated tasks relying on a specific IP would fail until the new address was entered. Static IP addresses are useful when you want to regularly access a device remotely, perhaps for remote desktop control, operating a web or file server, or connecting to a network hard drive. A static IP address can also be used for extra security by configuring a remote server to only accept communications from a specific IP address. 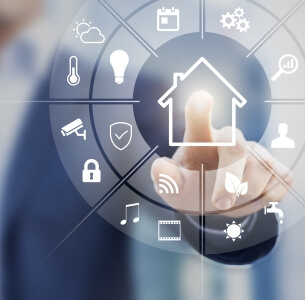 Businesses are the most common users of a static IP but there are plenty of people operating servers from home too, and it can also be helpful when remotely managing smart home devices. Many providers can issue a static IP address but it may only be available to business customers. There is likely a cost for it, too, either a one-off fee or an additional monthly charge. Andrews & Arnold: Free static IP as standard. BT: Only available with BT Business broadband. £5.50 per IP address. Plusnet: Available on most home and business packages. £5 setup fee for home packages. TalkTalk: Only available with TalkTalk Business. From £1 per month. Toople: This business broadband ISP offers a free static IP on request. Virgin Media: Only available with Virgin Media Business on selected packages. Zen: Available for free on request. If you need a static IP but it isn’t offered by your ISP or you’d rather not pay for it, there is always Dynamic DNS (DDNS). DDNS is a way of getting a static address on a dynamic IP by associating your connection with a fixed URL. When the IP address changes a software application (or the Wi-Fi router) updates the fixed URL with the new IP. Unless your ISP already offers a free static IP we would recommend DDNS for most home users. It will let you easily access a home server or remote computer without switching providers, and it doesn't need to cost any extra. To use DDNS you will either need to install a desktop software application, or configure the DDNS service on your Wi-Fi router. Desktop software is the easiest option but it will only work on that device. Setting it up with your router will ensure DDNS is always active, however some models will only support a specific DDNS provider. In some cases the router manufacturer may offer a free DNS service - Netgear partners with No-IP to provide its users with a free “mynetgear.com” hostname which can be quickly setup via the router administration controls.